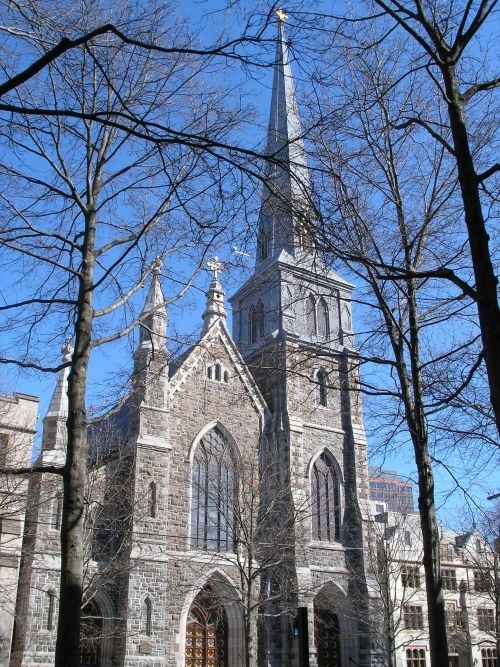 St. Mary’s in New Haven, CT. This is where my family completed the RCIA program. One really cool aspect of my job is the emails I receive from people responding to our Catholics Come Home campaign. At Christmas we placed an “ad” on our website where interested individuals could request information about coming home to the Catholic Church. We received a good response and I continue receiving emails from interested people. The exciting part about these emails is the stories that accompany them. People like you and me describing, in a very personal way, their journey to come home to the Catholic Church. Often they return after a long absence and a series of life situations that have caused them to reevaluate their spiritual journey or need for community. I too am one of those individuals who came home to the Catholic Church. Of course my journey to the Catholic Church was not on a return ticket. After almost 15 years of service as an ordained pastor and missionary within the protestant community, I began my turn towards Rome. I was raised in a non-religious household although I was spiritually inquisitive as a child. I had a difficult time as a teenager dealing with the challenges of growing up, short-circuiting many opportunities for success with rebellious behavior. At 21, I had a “religious experience” during some really dark days in my life. I was alone relationally and spiritually. I was searching – for answers and truth. I found the answers to my problems and the spiritual truth I was looking for in relationship with Jesus Christ. Just as 2 Corinthians 5:17 says, “So whoever is in Christ is a new creation: the old things have passed away; behold new things have come.” With my initial conversion came dramatic change. Why did I become Catholic? As a protestant pastor and missionary I experienced a blessed decade plus of service. I traveled extensively serving Christ in the U.S. and abroad in 25 nations. In addition, I had a supportive community who believed in me and was committed to our non-profit work among the marginalized. But something happened. I began hearing God’s quiet voice deep within my heart calling me to study the history of religious orders. 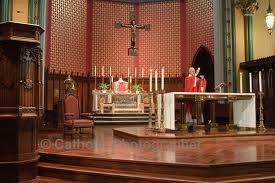 That study was accompanied by visiting Catholic churches to sit, pray and reflect. During this time two things happened. First, I fell in love with St. Francis. Second, I began sensing a deep peace as I spent time within the church building between masses. This journey coupled with my inquisitive intellectual nature set me on a path towards the Church. Let me detail some of the reasons why I came home to the Church. In addition, the offering of daily mass is an additional living symbol that Christ is the Person from whom we live, move and have our being as Christians. It was during this time that I had my “epiphany” moment – while sitting in a traditional Roman Catholic parish I realized, after being caught up in the art and architecture of the space, that what I had been preaching regarding the centrality of Christ – Catholics were actually living it and they had the proof! Everything, and I mean everything, screamed Christ. Even before I became a Catholic I had a particular interest in the life of Mother Teresa and the Missionaries of Charity. I worked with them, even as a Protestant, in Comayagua, Honduras and spent many hours reading their history. It was during this time that I spoke with a Sister in the Missionaries of Charity relating to my questions about the Church. She was of Indian descent and kind disposition. Over a two year period we began a series of discussions relating to the questions I had about the Catholic Church. She was always kind, encouraging and good at creating space so that I had plenty of time for conversation and reflection. At the end of each session Sister would say, “Keep your eyes on Jesus and He will lead you to the truth.” I took her admonition to heart and eventually came home. Similarly, I had a fascination with Pope John Paul II during my time of discovery. I had always respected him greatly and during the time close to his death I could not stop watching the T.V. coverage. I watched more hours of T.V. during his final days, death and the election of his successor than I care to admit. But for some reason I could not stay away. At one point there was an interview with one of the nuns who was praying over his body during those final hours and she recalled her interaction with JPII. At this I was amazed. I had always had a personal fascination with the general disunity within all branches of Christianity. In addition, I too longed for the day when we would be unified in one expression of Christ in the earth. As an idealist, I did not see this longing as a purely spiritual manifestation, but a real one in the present time and in our physical world. It was this deep, inner-longing that this nun brought to life with her words and the action of her prayer. I identified with her in that moment – a kind of connection I had never felt before. Again, it was as if a “higher authority” was calling me into a new space. Calling me home. There is more – much more, but suffice it to say – these were some key reasons for my conversion. As a disclaimer: This story represents my experience and in no way is meant to reflect negatively of the genuine belief of my Protestant friends. I just happen to see things from a different perspective today – one in which I believe is the fullness of Christian expression and evidenced by Acts 2:42-47 and the ongoing history of the Catholic Church. May God bless our collective journey towards Him. Eric – Thank you for sharing your story. Studying the Church History was something that also let me see that the Catholic Church was for me. Eric, I really enjoy reading about the journey you’ve been on. I’d love to hear more about how your view of the “priesthood of the believer” has changed as you’ve journeyed to the Catholic Church. I am providing a link to an article from a reformed theologian regarding the Priesthood of Believers. While I do not agree with all of his conclusions I will highlight an area that I think he states with serious clairity and was part of my personal, pastoral experience. “Unfortunately, the priesthood of the faithful in both its Protestant and Catholic forms has been corroded by fusion with modern individualism. While no denomination sanctions this fusion, strains in popular Protestantism, especially American Protestantism, have taken “priesthood of believers” to mean that every believer has an absolute right of private judgment about morals and doctrine, the liberty to interpret the Bible with complete autonomy. Hence, the Biblical development of the sacrament of Holy Orders. At the end of the day the First Things article speaks to the problem, within Protestant thought and practice when it speaks to the idea that each [individual] believer “has an absollute right of private judgement about morals and doctrine – interpreting the Bible with complete autonomy.” I found this idea expressed consistantly throughout my pastoral career. Interestingly – you may want to conduct a survey and ask those you lead, “what is your interpretative methodology in relation to Biblical interpretation?” I have found that many don’t even have a good interpretative strategy according to what was taught in my protestant, theological classes. In light of this reality – it is easy to radicalize the priesthood of the believe and misunderstand the Bible in isolation from good standards of Bible interpretation and the community. Eric, Thank you for the work you do on behalf of our faith. I grew up in a Protestant church. My family was very active: my father a deacon and Sunday school teacher, my mother ran sound and did the weekly bulletin, and I was the full-time accompanist from the time I was 11 years old. My father did an amazing job teaching me the scriptures but there was still something missing. About 10 years ago, a good friend of mine requested my help in the music ministry at the Catholic church. It took me 10 years to discover that the piece that was missing was my belonging to a bigger picture…that of the catholic community. This past year, I went through the RCIA program and it was amazing to see how all of dad’s teachings came to life and suddenly made sense. I could write my dissertation on “Why I became Catholic,” but bottom line, all of the random stories you hear about cult activity, worship of Mary, worship of idols, etc.within the Catholic faith are simply not true. It took 10 years of participating in the catholic community activities and weekly masses to prepare me to take the first step in becoming a member of the body. It is one of the best things I have ever done. Thank you so much for sharing a bit of your journey with (us). I am so excited about what God is doing in and through your life. Let’s keep our eyes fixed on Him and enjoy our new life in His Church. As always dear brother, I am delighted to share life and faith with you, to hear your story and to know that we walk together, albeit with a bit too much distance between. I miss those early morning praying the Hours together! Happy Fathers Day and Blessings to your lovely wife and kids. We love you guys! Did you mean Mary as Mother of Jesus? Hi there. Catholicism does indeed teach that Mary is the Mother of God. As you say, Mary is the Mother of Jesus. We both agree Jesus is God. Ergo, Mary is the Mother of God. Now by saying this, we do not mean that Jesus’ soul only began when Mary was made pregnant by the coming of the HS. We do not mean that Mary’s relationship towards God the Father or God the HS is as a mother (indeed, Mary is the spouse of the HS and daughter of God the Father). But we do specifically mean that Mary is the mother of Jesus – not just Jesus’ humanity – but Jesus, who is both God and man. There are some people that try to say that Mary is the mother of Jesus’ humanity but not Jesus’ divinity. This makes for heresy regarding Jesus’ own nature though (saying Jesus’ humanity and divinity can be separated). Thus the Church’s teaching regarding this principally upholds the true teaching regarding the nature of Christ (i.e. hypostatic union). Thank you for your kind words. It has been a fascinating journey and one of the best things that has ever happened for me and my entire family. We have been called home to the Church, are truly blessed and excited about what the future holds. I am truly filled with passion for His Church in the earth and believe we have so much to celebrate and be grateful for even in the midst of all the challenges and sin. I’m a former charismatic evangelical who came into the Church several years ago, so I can relate to your story. God bless you as you grow in the faith and work to lead others into the Church!